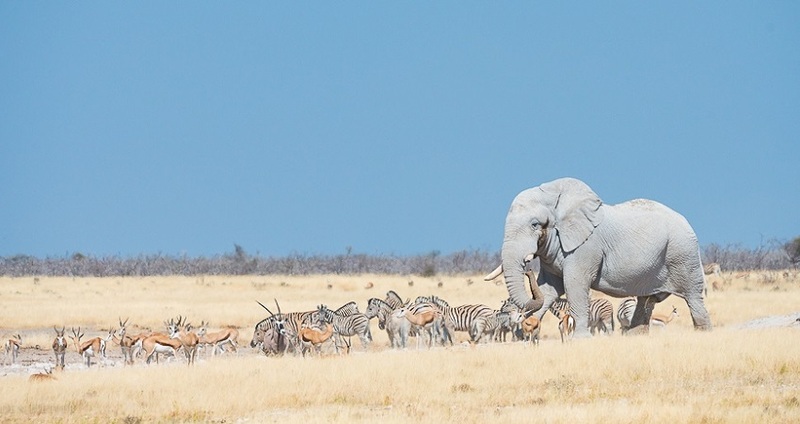 The Etosha National Park is a nature conservation area in northern Namibia and is one of the most significant game reserves in Africa. 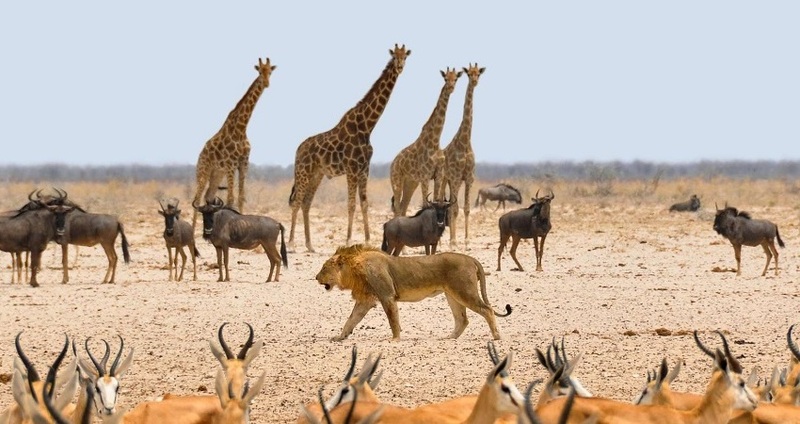 In Namibia it is by far the best known and most important national park. 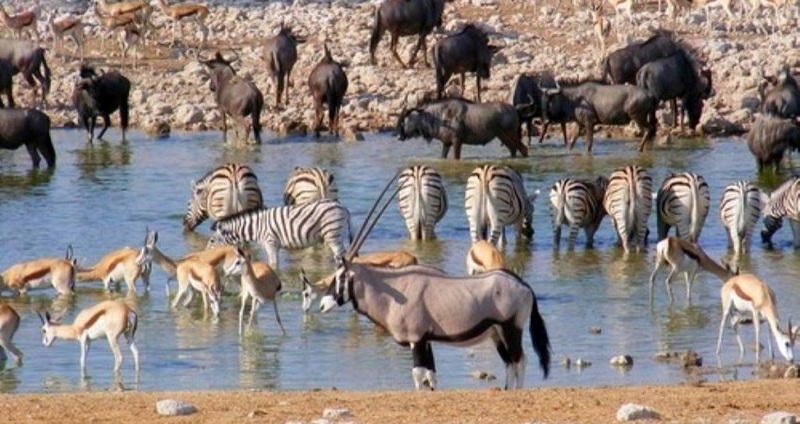 Today the Park covers an area of nearly 22.912 km² and is completely fenced for the protection of the animals. 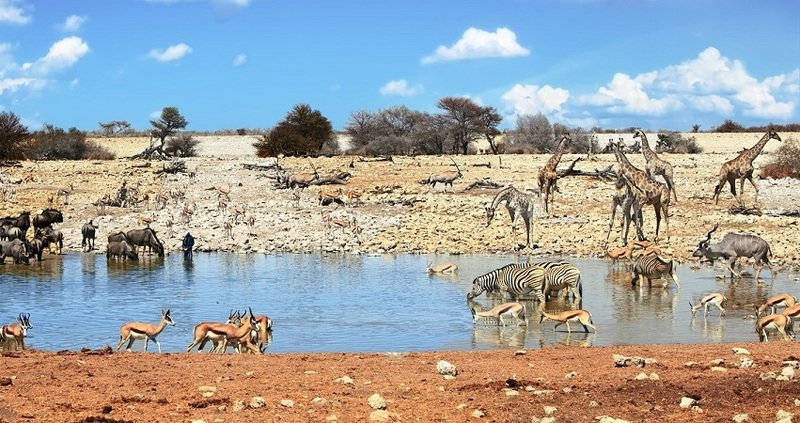 Within the eastern part of the park an approximately 5.000 km² large salt pan can be found, which was formed about 2 million years ago when the Kunene Delta dried up and its riverbed shifted.